IRVINE, Calif., October 26, 2015 – NBA All-Star Blake Griffin is back in a series of four new television commercials for Kia's best-selling Optima midsize sedan, and he's bringing his signature brand of satirical comedy with him. In the campaign, everyday people get in the zone for the first time while experiencing the next-level performance and sophistication of the all-new 2016 Optima – the Official Vehicle of the NBA – and find an eternally calm Griffin reading the newspaper, playing chess, making the ultimate peanut butter and jelly sandwich or acting as a weather forecaster in the midst of an impressive basketball performance. The multiplatform campaign, which includes television, digital and social media elements, debuts during Kia NBA Tip-Off 2015. 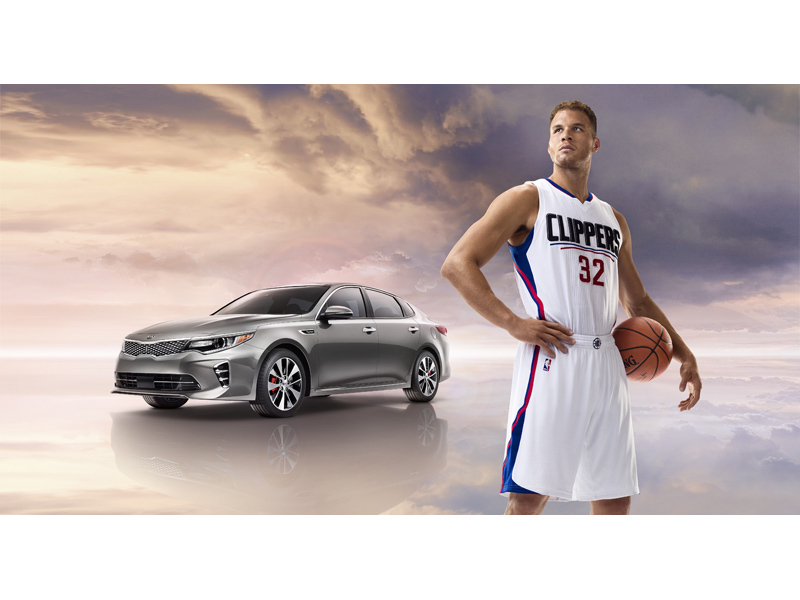 "Blake Griffin is a powerful force both on and off the court, and as a brand ambassador, he has helped raise Kia's profile during our rapid transformation over the last few years," said Tim Chaney, vice president of marketing communications, KMA. "Our partnership with Blake has played a significant role in Kia becoming the most recognized automotive brand among basketball fans across the country, and in this new campaign he's back and better than ever with his distinctive deadpan humor." Created by David&Goliath, Kia's advertising agency of record, the Griffin spots can be viewed on cable and network NBA programming and on all of Kia's social and digital platforms, including YouTube.com/Kia and Kia.com.